Catherine Ehrmann came with her family from Hungary to Philadelphia in 1904, when she was two years old. 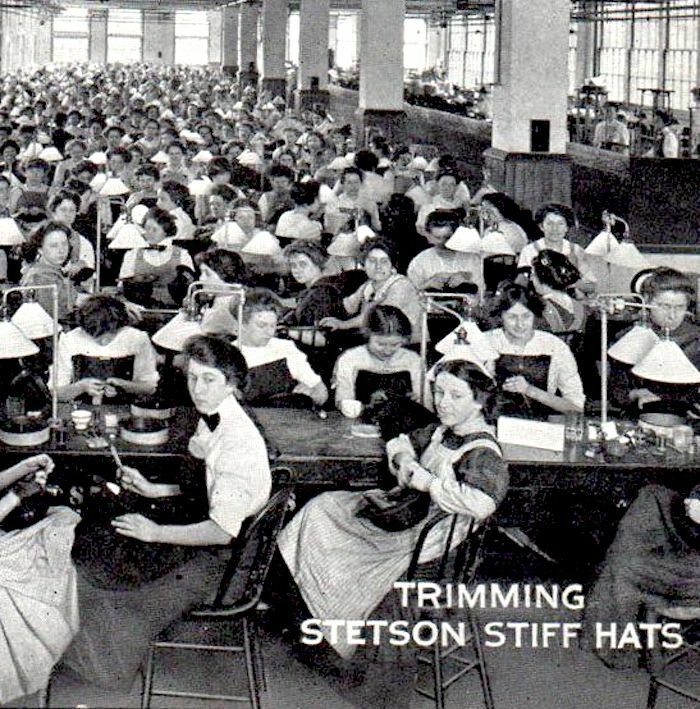 She grew up right around the corner from the Stetson Hat Company in the Kensington neighborhood. In 1916, at the age of 14, she began to work at Stetson's, and stopped working there when she married at the age of 21. In her July 1982 interview, Ehrmann talked about her time as a Stetson employee and how she married against her Old World father's wishes. “Catherine Ehrmann,” Philly Immigration, accessed April 19, 2019, http://phillyimmigration.nunncenter.net/items/show/830.